Currency values, prices, consumption and incomes are at the heart of the economic performance of all countries. In order to make a meaningful comparison between one economy and another, economists routinely make use of purchasing power parity (PPP) exchange rates, but while PPP rates are widely used and well understood, they take a lot of effort to produce and suffer from publication delays. Currencies, Commodities and Consumption analyses the strengths and weaknesses of two alternatives to PPP. Firstly, the so-called Big Mac Index, which uses hamburger prices as a standard of measurement, and second, a less well known technique which infers incomes across countries based on the proportion of consumption devoted to food. 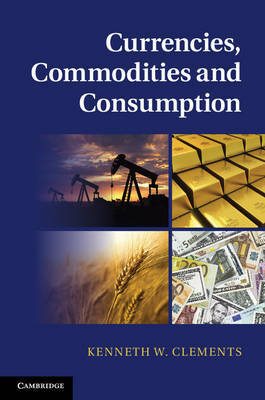 Kenneth W. Clements uses international macroeconomics, microeconomic theory and econometrics to provide researchers and policy makers with insights into alternatives to PPP rates and make sense of the ongoing instability of exchange rates and commodity prices.